Lenovo Y70 17.3" Nvidia Graphics Gaming Laptop Core i7-4710HQ 16GB RAM 256GB SSD. Lenovo gives gaming enthusiasts a best device for gaming. Combining all the modern and advanced features with powerful processors it becomes an amazing device for gaming. High quality audio and stunning graphics also takes your gaming to the next level. Featuring a 17 inch display packing tremendous amount of pixels, it brings your pictures to life. This FHD display is ideal for boosting up your gaming. With a perfect pixel density of 1920 x 1080 resolution it delivers bright and vibrant visuals. 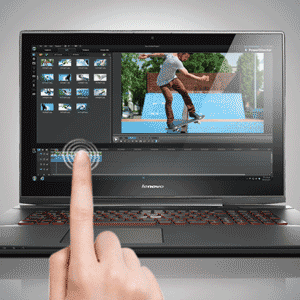 Lenovo has equipped this laptop with 10 point touch display which means navigation has become easier. This touch screen also helps you in playing touch oriented games with your friends. 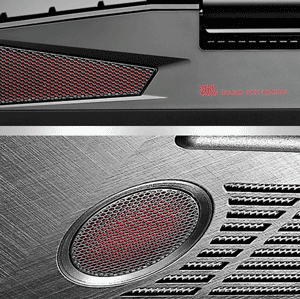 In order to give you an amazing listening experience, Lenovo has equipped it with Dolby audio sound technology so you can take most out of your games. Not just games it will allow you to enjoy your media at its best as well. Especially designed for gaming this laptop packs with HD graphics. Featuring NVidia graphics technology it becomes superior to many other common gaming laptops. 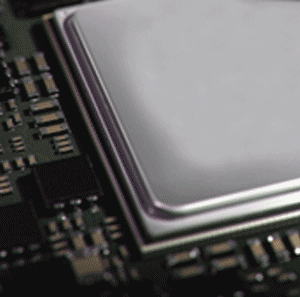 NVidia technology makes it super compatible for gaming. It gives you amazing performance with graphics which range up to NVIDIA® GTX-860M. You cannot take most out of your laptop unless it has high capacity storage. Lenovo Y70 gives you up to 1TB SSHD storage so you can store all your favourite games in it plus it will run all your applications smoothly. Lenovo Y70 comes with a backlight keyboard which adds in the stylish and modern look of this laptop. It not just gives it a stylish look it also allows you to work or play games even when the light is turned off. Plus its design helps you in working all day long without fatiguing.